It’s cool to be at school! At Rosary School we know for a fact that attending school regularly and on time has a hugely positive impact on learning and progress. Excellent attendance and punctuality is the key for our children’s success now and in the future. In line with the Government and Local Authority Guidelines, we expect all our students to maintain an attendance level of 96% and above. It is the responsibility of everyone in our school community – parents, children, staff and governors – to ensure they achieve this. Therefore, we constantly monitor and review attendance and punctuality. We encourage excellent attendance and punctuality for all our children, by offering an environment in which everyone feels valued and part of the school community. It is simple: if children are not in school, they are not learning and therefore they are not making progress. Every moment at school counts because we are learning all the time! If children miss days of school, they miss out on crucial teaching and learning and they then have to catch up, not to mention missing out on spending time with their friends. There are so many reasons why being on time is important! It gets your day off to a good start and puts you in a positive frame of mind, so that you can make the most of your learning opportunities. It sets positive patterns for the future. You don’t miss a moment of teaching and learning time! It is disruptive if children come into a lesson late. At the end of each term, certificates are given out for individuals with the highest attendance and punctuality. At the end of the year there is a special treat for the children with the highest attendance, which is different each year and decided by the children. Gates open at 8.45am with a member of staff always at the gate to greet families. Children in Key Stage 2 can go straight up their classrooms but the Infants wait in the playground for the bell to ring promptly at 9am. This bell signals the official start to the school day and the class register will then be taken. If children arrive late to school they must report to the office to let them know they are here. If children are too ill to come to school, please make every effort to keep in touch by whatever means suits you best. You can email or call the office from 8am to explain an absence. If we don’t hear from you we will get in touch. If no reason for absence has been given, you will be contacted promptly by the Headteacher and it may be followed up by the school’s Education Welfare Officer. Upon the child’s return to school, parents need to write a note explaining their absence. 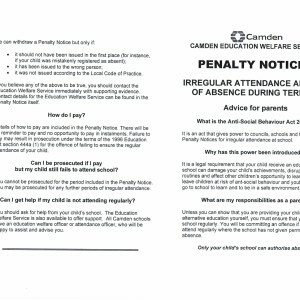 Holidays within the school term should be avoided; if they have to be taken, prior permission must be sought from the Head teacher. Similarly, if there are special circumstances for missing school, it is important to make a request to the Head teacher. 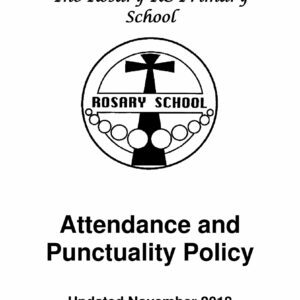 Please see our Attendance and Punctuality Policy below or speak to the office for more information.